MEXICO CITY: The State of Kuwait has legally acquired a plot of land in Mexico State, in Mexico, where the first cemetery for the Muslim community bearing the name of Kuwait will be built. “The 7,500- sq-m land was gifted to the Kuwaiti diplomatic mission by the friend of Kuwait, Mexico Governor Eruviel Avila Villegas,” Kuwaiti Ambassador to Mexico Samih Johar Hayat said. The Kuwaiti ambassador has officially received the documents on the land acquisition from the governor at advent of the blessed last ten days of the holy month of Ramadan. 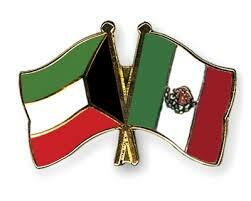 Ambassador Hayat said the governor and concerned Mexican officials inked all the documents and finalized legal transactions, with attendance of the embassy lawyer, thus the plot of land became a “waqf” in the name of the people of Kuwait; where the Mexican authority no longer have jurisdictions over it. --Yes, there is a Muslim community in Chiapas, Mexico which needs a lot of help. They face a lot of problems as they are a minority group, Kuwait has done a good thing for these people, bravo.